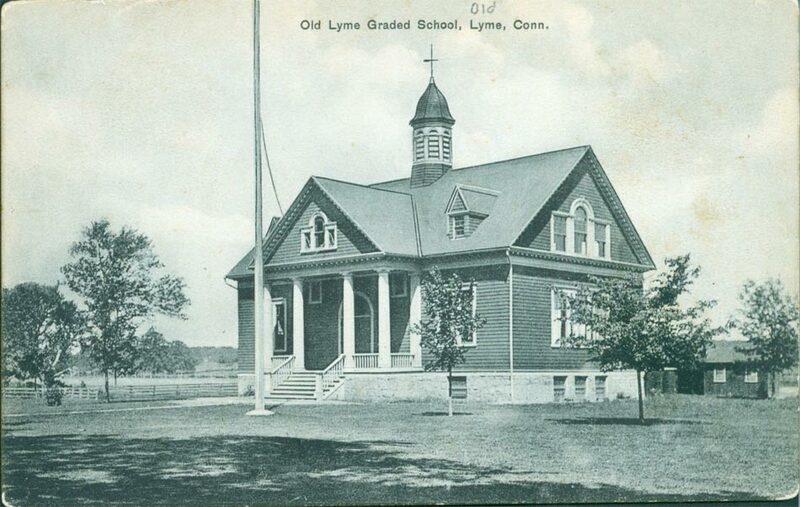 The identity of the “firebugs” responsible for burning the Old Lyme Meetinghouse remained a mystery throughout the summer of 1907. Then an attempt to ignite the village schoolhouse in November brought two suspected arsonists to trial. One hint drew Rev. Edward M. Chapman, the minister of the ruined church, into the arson investigation. On July 26, according to his diary, he met with Mr. Louks of the State Police, who asked what he knew about “A___ L___.” In a later entry Rev. 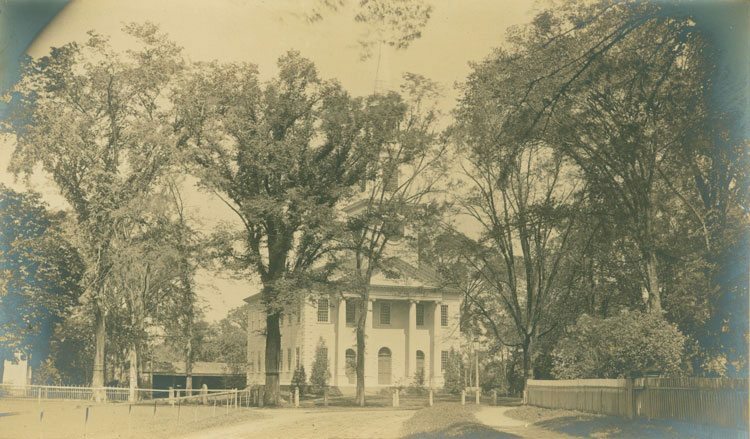 Chapman noted that he had talked “freely” with Andrew Leuba, the former gardener at the Ludington estate, who had fallen ill and was leaving town. Mr. Leuba was said to be “somehow involved in arson problems or in accusing others of this,” but the details of that involvement were not disclosed. By summer’s end the arson investigation had stalled. When two suspects were arrested on November 13 after a failed attempt to burn the Old Lyme schoolhouse, hopes revived that the church arson mystery would soon be solved. 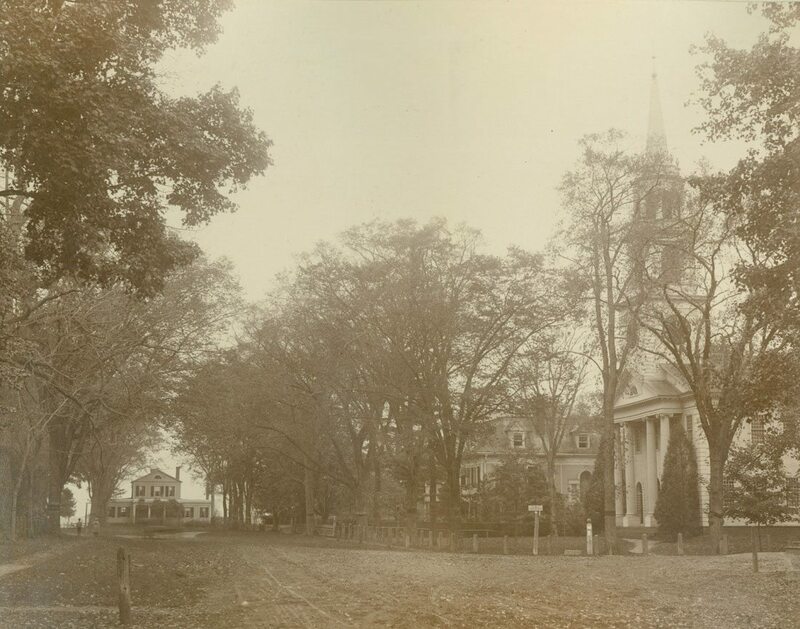 The New London Day ran a front page headline: “Swears Harrigan Told Him He Fired Old Lyme Church.” For three days local readers followed the newspaper’s detailed account of the criminal court proceedings. Under cross-examination defendant Nelson Appleby, an unemployed town resident, claimed that his co-defendant Michael Harrington, a drifter from New London, had “told him on the night of the burning of the schoolhouse that he (Harrigan) had burned the Lyme church.” When Appleby’s sensational allegation could not be substantiated, his testimony was discredited. He was sentenced to four months in jail for the attempted school burning, and Harrigan was acquitted. Suspicions persisted that one or both had likely set the Meetinghouse fire. 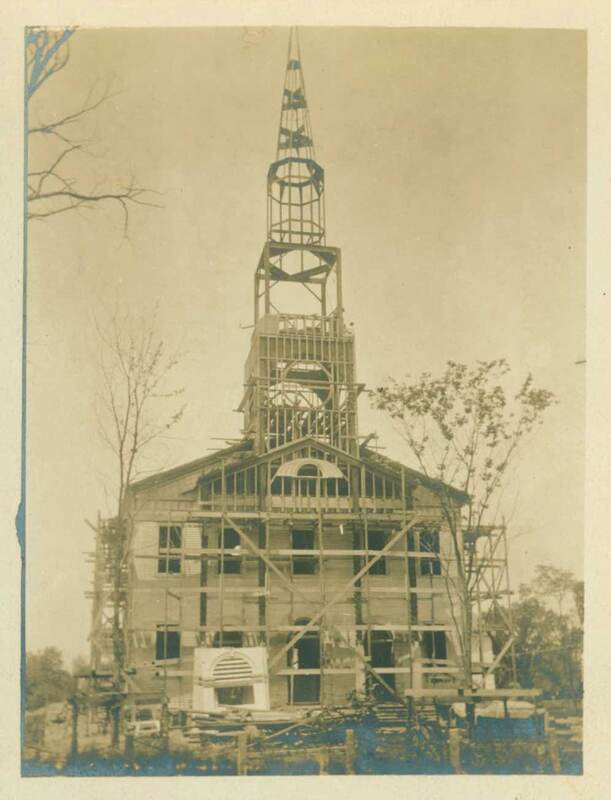 Congregational Church during construction, 1909. Courtesy Ludington Family Collection. 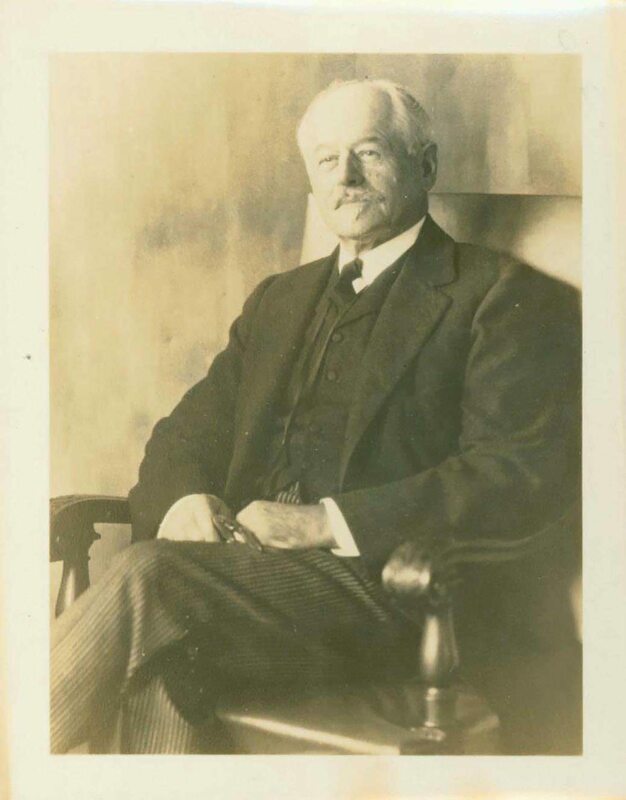 Katharine Ludington to Arthur Ludington, July 4, 1907, courtesy Ludington Family Collection; Katharine Ludington to Helen Gilman Brown, August 2, 1907, Brown-Gilman Collection, New York Public Library. The Deep River New Era, July 19, 1907. Rev. Edward M. Chapman, Diary, July 26, 1907; August 27, 1907. Photocopy transcript, LHSA. The New London Day, January 30, 1908. The New London Day, January 31, 1908; February 1, 1908. The Deep River New Era, September 10, 1909.